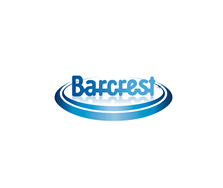 Barcrest was founded back in 1968 in Greater Manchester and has provided arcade, bingo and pub game content – you’ll always find Barcrest games in pub, clubs and bingo halls across the UK. They are well known for their fruit machines and Skrill with Prizes machines especially. In 1998, they were acquired by IGT and went on to release the iconic Rainbow Riches in 2006 which is one the most popular slots ever in the UK. They turned their focus onto developing slot games which were popular both online and offline (pubs, clubs, bingo halls and bookies). As a result, Scientific Games acquired Barcrest from IGT for £33 million in 2011 (Scientific Games also acquired WMS Gaming, otherwise known as Williams Interactive, in 2013 too. As a result, they extended their presence in UK betting shops, pubs and gaming venues (like bingo halls and arcades). Since WMS Gaming sold Jackpot Party Casino earlier this year, they no longer had a B2C operation so focused solely on offering Business to Business solutions (B2B). Barcrest slots have now been incorporated into this offering so expect to see more and more Barcrest games online where you see WMS games. This section will grow as offline titles are being made into online games – I recommend playing Money Mad Martians Cosmic Cash and Thai Flower which are hugely popular in bookies throughout the UK.